Anesthesia is the most important thing we do as veterinary teams. Those are some pretty strong statements. OK, not the first one. I love almost every book I read. I have no minimum standard. Everyone’s in! But I love this book on a whole deeper level than most. Is anesthesia really the most important thing we do as veterinary teams? I mean, we do a lot of things! I asked my own team the other day, actually as we were all standing around a dog who was at the beginning of an anesthetic procedure. Around the dog… “Yeah.” “Yeah.” “Yeah.” “Yeah.” “Really, guys?” I said. “We do a lot of things.” They proceeded to tell me exactly why anesthesia is the most important thing we do much more articulately than I am about to do here, but I will try to share their wisdom…and my convictions…with you. Anesthesia is the most important thing we do. I realize that is a sweeping statement. I realize that between all the team members and all the pets and all the clients and all the diseases and injuries and preventative care measures, there are countless things we do, and it is unfair to say ONE thing is the most important. It is. Nothing else we do carries the same risks, even to healthy pets, as anesthesia does. It is a powerful thing. This book reflects that well. Five Stars on the Cover! I was going to put it all in one place, but The Wagging Tail is a professional site geared towards veterinarians, and I did not want to leave out the silly parts of my review, you know, like how cute the cover is! Also, Banfield’s website was just updated, and it looks amazing. I haven’t clicked through all the pages, but what I have seen looks really neat. So that is here, and more is there, but if you really want to know if the book is all that…don’t take my word for it! I think you will really like this one, vet teams. I saw that it on Amazon for twenty-two dollars new – crazy inexpensive for a veterinary text! I may buy a copy to have at home. I also just saw that it is available online for free! I am still not used to “turning pages” on the computer screen, but if you are not stuck in the last millinium and like things like Kindle and iBooks, you will like that cool feature! And to all our other friends…Aren’t you glad we obsess about this stuff? Do you agree that anesthesia is the most important thing that veterinary teams do? What is the most important thing going on right now? The Blogathon! What does all of Nebraska think is student writing paper the most important thing going on right now? KICKOFF! 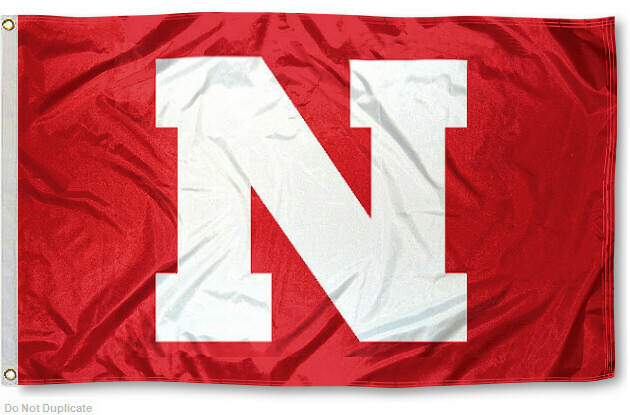 I grew up in Nebraska so my blood is Husker red, as it should be. I LOVE football season. I LOVE getting together with our family for game day. I LOVE the snacks, I even love the fuzzy AM radio commentary in the background. Most of all, I love the grey Nebraska sweatshirt that Dad bought me twenty years ago right before I started college at the University of Nebraska at Lincoln. Even though I yell about the importance of our state flag and state history every time we drive past a bank flying a big red “N” flag instead of the proper state flag with our official state seal, I secretly even kind of love that. I have a confession though. (Looking around…Oh good, they are all focused on kickoff.) *whispering* I do not like football. During prevet at University of Nebraska at Lincoln, I went to ONE SINGLE football game and just about died of boredom. 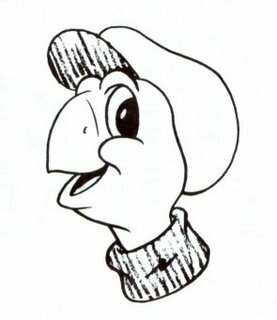 When Nebraska (my prevet school) played Iowa State (my vet school), all the Finches and all the Nelsons and all the Babcocks came to Ames, Iowa and went to the game together, and I LOVED that day, because of the friends and family part. I do not even remember who won, though I assume Nebraska did – Iowa State should stick to training vets…and engineers and stuff. At least when the game is on TV, I am in a comfy living room or Jones’ garage, surrounded by people I love and tables of great snacks. I love everything about Husker football…except the game itself. I will be right back after I hide my Nebraska Citizen Card. When this gets out, They are going to try to revoke it. In Littleton, Colorado I had an adorable West Highland White Terrier patient named Husker. There are quite a few Husker fans in Colorado, which I enjoyed. I felt less homesick surrounded by Nebraska folks. Eventually being surrounded by Husker fans and spending time with Husker the Westie once or twice a year was not enough, and we moved home to Nebraska. While epidemiology studies and obesity studies and such are all kind of neat, THE BEST thing about the national Banfield database is the ability to learn how many Banfield patients are named Husker. The grand total is…418! Thirty-three of the fifty states have Banfield patients named Husker. Colorado leads with 74. Next is Texas with 51 and Arizona with 43. Nebraska is FOURTH with 36! At the practice I am at now we have one cat named Husker, three dogs named Husker and one hedgehog named Husker Hedgehog. I have quite a few Bo patients, though I doubt they are named after THE Bo, it’s just a cute retriever name (and a cute presidential dog name). I do not have any Tom patients, but that is not such a great pet name. Maybe for a cat, but even then, if you want a plain old cat name, Max, of course, is much better. Max the Cat cares as much about football as I do. I am waiting to see what three of my favorite companies have in mind for future projects. I am hoping for a lifetime partnership of regular writing assignments, with cute pictures of my pets scattered throughout the publications. That reminds me of one of my favorite lines in August Rush. Evan’s friend asks him “Are you thinking what I’m thinking?” and Evan replies, “No, I’m thinking something else.” Perhaps they are thinking something else. Who knows? It could be even better than what I am thinking. Though, as you know, there is nothing better than cute pictures of my pets. I am waiting to read another leadership book that I can add to the “What I am Reading” series here. As you know, I will only review books to which I can give five stars. So I am getting through the list, but not falling in love with the books. Seriously, it seems as if the books were all chosen by men! (They were…not that there’s anything wrong with that.) Let’s skip the sports and war illustrations guys! Then we can whip through these life lessons a little faster. I am waiting to see how my fall work schedule pans out. I struggle with the same pull with which every mother struggles. Should I stay home more? Should I work more? However, a normal mother makes the very difficult decision that balances her life and family dynamics best, and then adjusts her schedule based on the changing circumstances of her family. I do that and then obsess. And second guess. For a decade. Literally. Still, I am blessed to have the choice over which to obsess and second guess. Lately I have become a tiny bit better at enjoying the ride. See? I named this post “Waiting.” Not “Fretting.” Or “Obsessing.” Or “Flip-flopping.” Yay, me. I’m progressing slowly, but I am progressing. I am waiting for the smell of my perm to dissipate. I am waiting for my kids’ friend to wake up from her nap so they can all play together. I am waiting to see how well the Heartworm Disease and Omaha Pets article does on Omaha.net. Is everyone sick of discussing heartworm, or is it still an attractive topic in its (unfortunate) timelessness? Maybe I just needed to write it to remind myself to continue to be a strong advocate for my patients’ health. I am waiting to see how some important things turn out. Russ, you always proof-read my rough drafts for me. Thank you for that. And I don’t write rough drafts of my posts on this website. I just write what I am thinking. Since the rough draft step gets skipped here, you may never see this. If you do, remember that I love you more than writing. I love you more than being a veterinarian. I love you more than my (un)naturally curly hair. Now I am waiting to hear back from only TWO of my favorite companies! 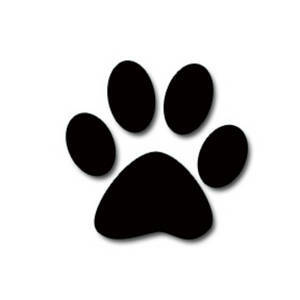 While I was writing this, I received an email from Nina Silberstein, the editor of The Wagging Tail Blog. She said that she forgot to tell me that the post she had asked me to write a while back is due TOMORROW. Dangerous Dog Laws Keep Dogs and People Safe? This site has a copy of all of the blog entries here at Riley and James.